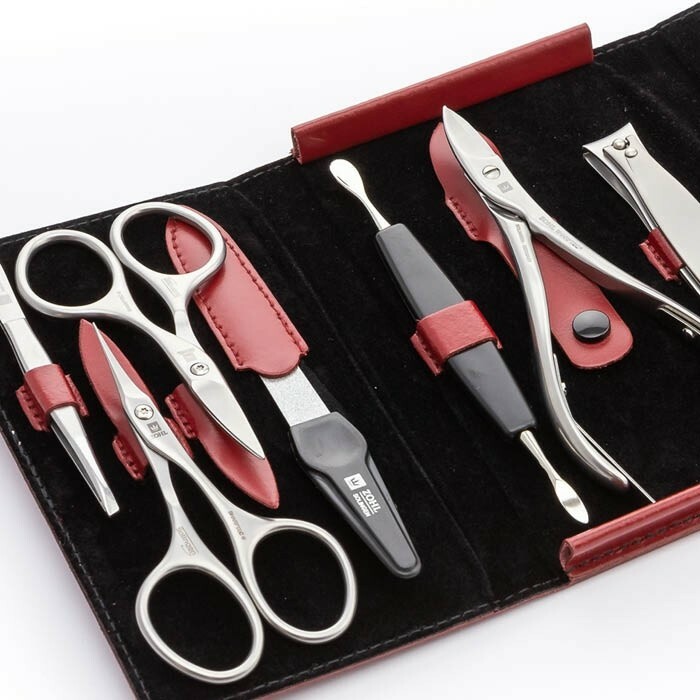 Authentic German craftsmanship, surgical stainless steel and advanced design make the Solingen manicure set Grazia a stunning gift for the woman who likes the best manicure and pedicure instruments. 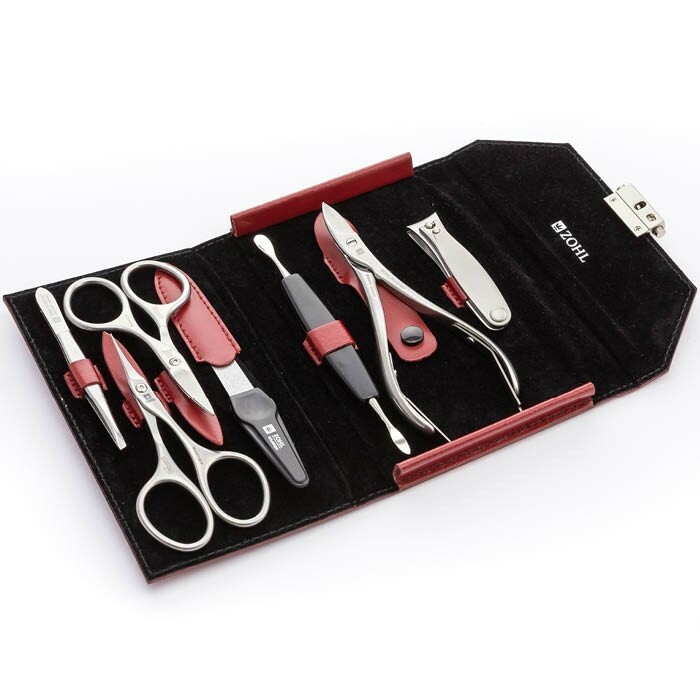 Hand crafted in Solingen - the German motherland of precision nail cutters, knives, blades and other cutlery, the Grazia's nail tools SHARPtec delight with exceptional sharpness of the cutting edge that stays primed for many years without any need of sharpening. 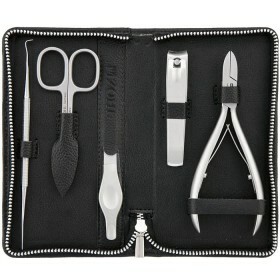 The set includes 7 professional instruments ideal for fingernails and toenails, all made by hand by master craftsmen to allow a clean and smooth trimming of nails and cuticles in the professional manner. 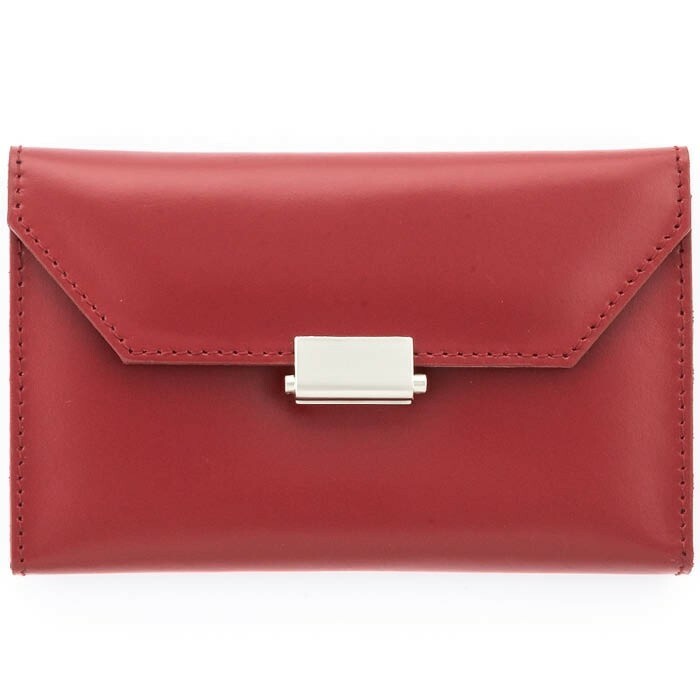 Elegant red leather case makes it a beautiful accessory and a perfect gift for a lady on Christmas, Birthday or Mother's Day. 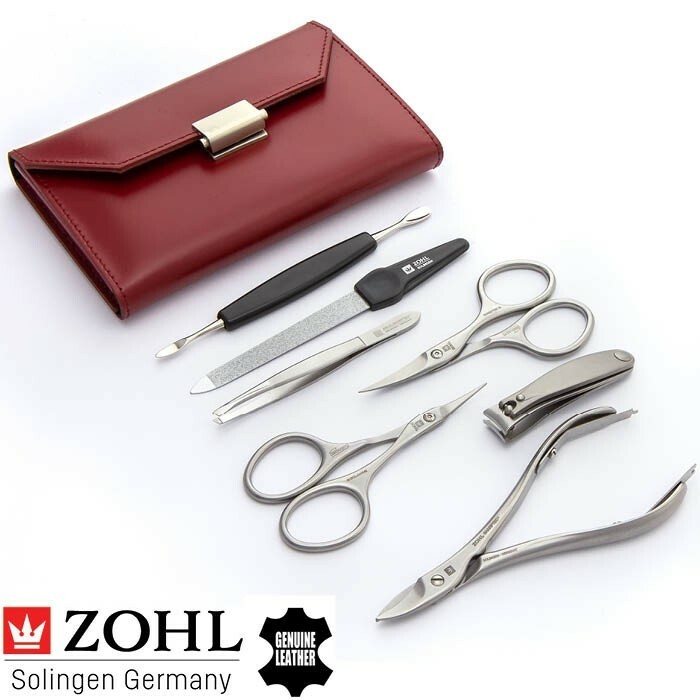 ZOHL collection of the finest German Manicure Sets presents Grazia – the highest quality manicure and pedicure set for women's complete nail care. 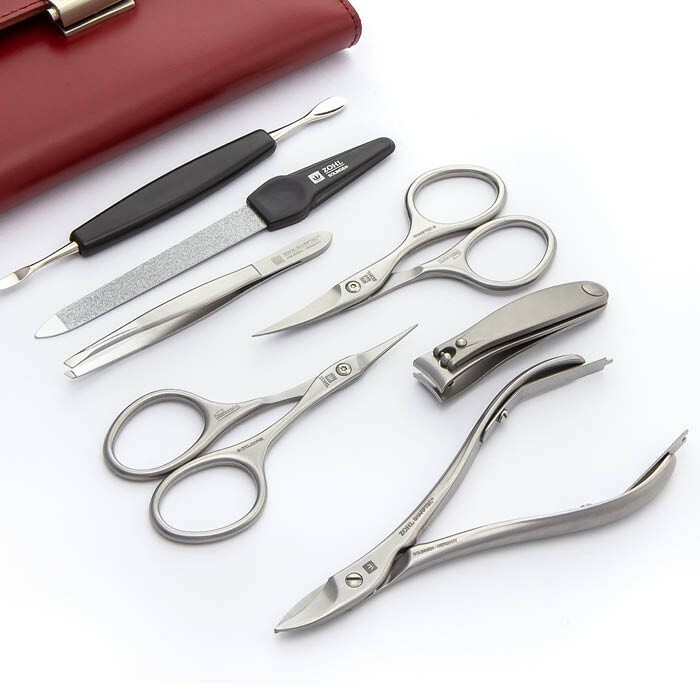 Unique in every way, its instruments are crafted by hand from specially hardened stainless steel DIN1.4034 approved in the finest surgical instruments where superior cutting ability is a must. 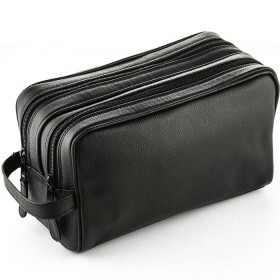 For added benefit, manual honing makes every SHARPtec nail tool perfectly sharpened, precise and durable to delight you with long lasting service for many years to come. 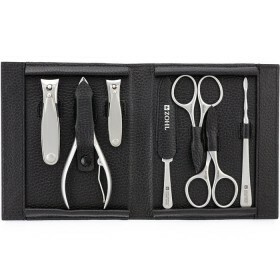 Like other SHARPtec manicure and pedicure instruments by ZOHL, the Grazia set includes rust proof and nickel free tools that are safe for professional sterilisation. 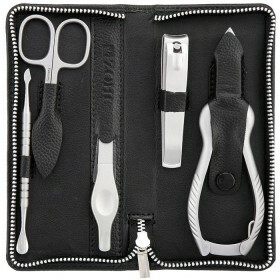 This feature makes it the best manicure and pedicure set to bring along for your next salon visit, for better hygiene and exclusive use. 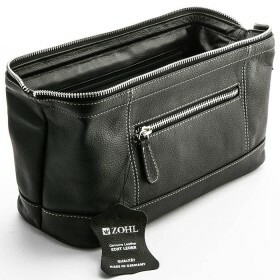 Slant Eyebrow Tweezers (9cm) – the “charmer” in the ZOHL collection and undoubtedly the highest quality tweezers for maximum precision. 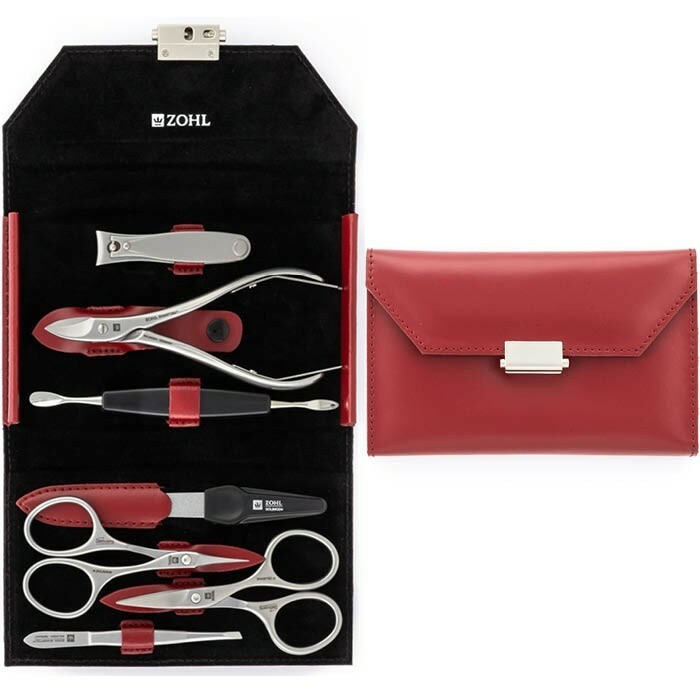 To highlight premium and lasting quality, the manicure set comes in a luxury red leather case with black lining, creating a very feminine look and adding sophisticated poise to your self-presentation.